"THEY might be kids, but they're proper bad." A police officer has given a description of a group of teens to the Daily Telegraph who, after allegedly partially chopping off a man's thumb with a sword, were charged over an alleged armed robbery spree across Sydney which also involved a shortened firearm and a machete. 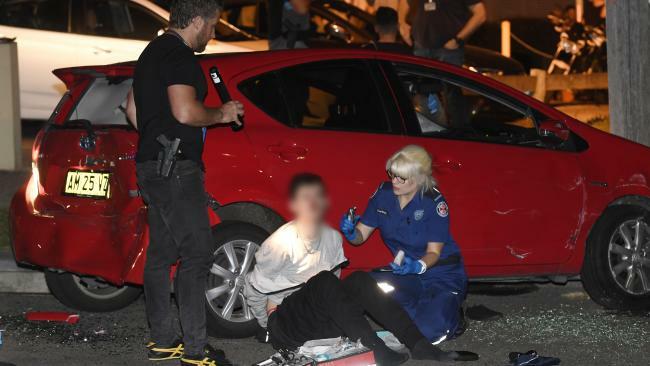 Police say two boys, aged 17 and 15, were arrested during a vehicle stop on Friday night following an armed robbery at a convenience store in Lane Cove, in Sydney's north. The boys were arrested just 20 minutes after robbery. 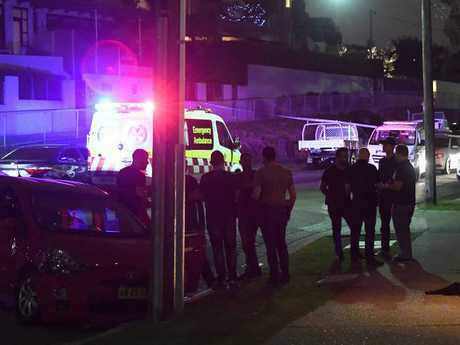 In dramatic scenes, bloodied and handcuffed, they were arrested in Drummoyne, in Sydney's inner west, after 9pm by the same police squad that breaks up bikie riots, reports the Telegraph. The boys, along with a third teenager, are allegedly responsible for four armed robberies, according to NSW Police, and demanded cigarettes and cash while armed and dangerous. They are also accused of stealing a red Toyota Prius during an armed carjacking. According to a statement from NSW police, the spree began after New Year's Day when three males entered a service station at Kings Langley and threatened a male attendant with a shortened firearm and a sword; demanding cash. "During the incident, the attendant was allegedly struck with the sword, which partially severed his thumb," the statement read. The next day they targeted another service station, this time in Toongabbie, 30 kilometres west of the CBD, "armed with a shortened firearm and a bladed weapon, who demanded cash". Then, on January 8, they threatened an attendant with a shortened firearm and a bladed weapon at a service station at North Ryde, demanding cash. "In each incident, the group allegedly stole cash and other goods before running from the store," NSW Police said. Two of the teens ran into police on Friday after the robbery in Lane Cove when they "threatened the 59-year-old owner with a shortened firearm and a machete, and demanded cash," police said. Witnesses reported seeing the males fleeing from the scene in a red Toyota Prius. The robbery involved only two of the three teens. "Just after 9pm (Friday 16 February 2018), officers from the Tactical Operations Unit arrested two teenage boys during a vehicle stop on St George Crescent, Drummoyne," a statement from NSP Police said. 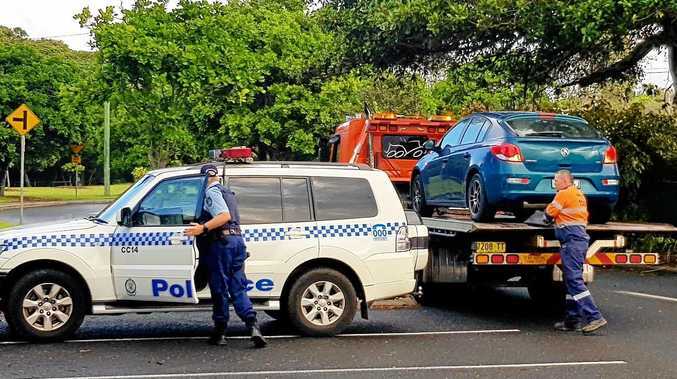 "During a search of the vehicle, strike force investigators located a firearm, three bladed-weapons, including a machete and a sword; cash, and items believed to be stolen." The boys were treated by paramedics for minor injuries and taken to hospital for observation, with the 17-year-old since discharged and refused bail to appear in a children's court on Saturday. The 15-year-old remains in hospital under police guard. Their charges include robbery armed with an offensive weapon causing wounding. Investigations into the armed robberies are continuing, and further arrests are expected.